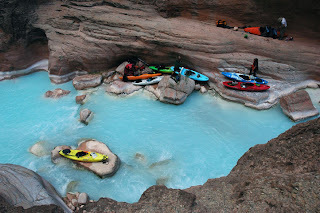 The Colorado Kayak Chronicle aka CKS Squad Blog: A place for CKS’s Staff and Team Paddlers to share trip reports, gear reviews, photo postings and insights into anything and everything paddling. 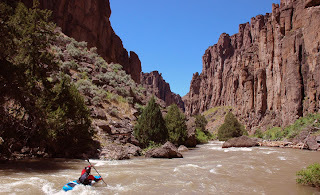 The goal of this blog is to bring you a variety of perspectives and interests from around the world, to share inspiring photos, videos and stories and most importantly, to help you get excited for your next day on the river! Written by Kyle McCutchen. Photos by Kyle McCutchen and Tina Swan. I have a confession to make. I can’t kick the habit of owning a Pyranha Fusion for river touring. I started off by innocently dabbling with some remote class III here and there, and before I realized my addiction had taken hold I was dreaming about pristine beach camps nearly as often as stout browns. Before I give two years worth of excuses of why this awesome boat justifies my addiction, I’d like to share my biggest complaint about the Fusion. The huge amount of packing space provides for an excess amount of self-support kayaking luxury, and the ridiculously smooth tracking and speed are making class III way too much fun. If I’m not careful it’s going to make me soft. 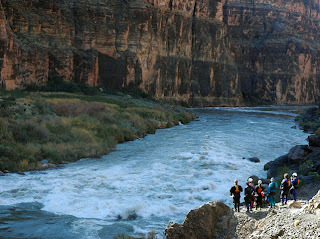 Our maiden voyage took us to the Eagle Creek that flows into the Arizona Gila Box. 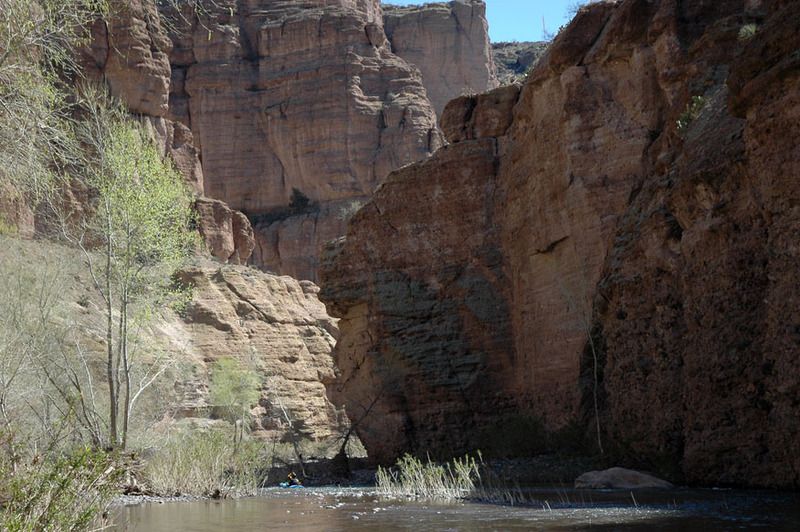 The class III/IV creek had a description in Paddling Arizona by Tyler Williams, a gauge link on American Whitewater, and a shuttle service listed for the AZ Gila River Box that we set up for a 3-day weekend trip. Hard to believe that this may have been a second or third descent, and even more amazing was how predictable the Fusion felt after just taking a few strokes. 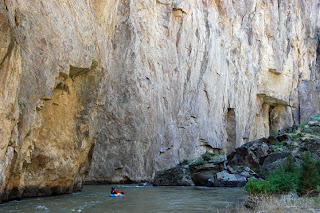 Although the low volume whitewater wasn’t impressive, the towering canyon walls, short side hikes, an abundance of wildlife, and a secluded beach camp were rather enjoyable. The extra room in the Fusion hatch to pack a few beers and to bring a tent made the journey even better. 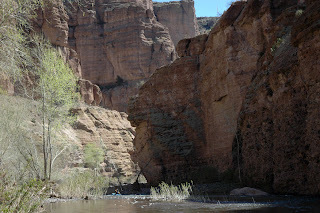 With sun showers pouring down and deep water to allow for skeg tracking, our enjoyable afternoon day 2 cruise on the Gila River nearly led to us accidentally finishing the run a day early. We were officially made aware of how effortlessly the Fusion busts out miles. Fast is an understatement with the skeg down, and it steers with ease; tilt the boat slightly to the left and it carves right, tilt the boat slightly to the right and it carves left. This eliminates the need to take correctional strokes. As I’m gawking at the scenery I’m also making miles. And we knew the Fusion was stable. My Mother jumped into the Fusion and paddled the Lower San Juan without a flip, and with a smile on her face. Pulling a Selway launch near the date of historical high water is great news for whitewater junkies. 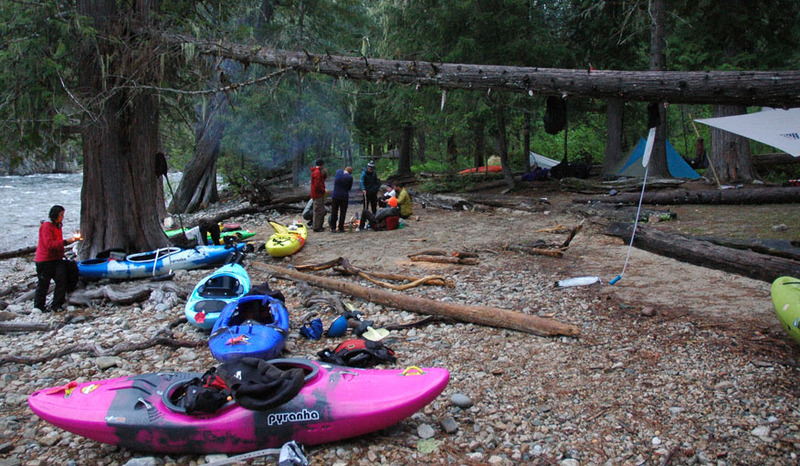 Seven of our paddling friends joined in a Northern Rockies road trip, with the highlight a 4-day self-support Selway mission. Although the water could have been higher, and we could have done with a lot less rain, it still offered us a great chance to test our improved packing expertise and to finally run some bigger whitewater in the Fusion. After packing all of my gear I managed to fit an extra 20 beers, which made for a heavy boat on day one, and a fun night for the crew. Using 4” diameter by 12” long ABS pipe with rubber end caps, we created two storage capsules that fit in front of our bulkhead. The primary purpose was to create a groover system to be used with wag bags, for limited use. We also found that the capsules offered excellent storage for trash and all those extra beer cans that we now had. Clean capsules also offer some creative storage space that can be used for frozen foods to make the shorter trips a bit more luxury. A bit of ice and frozen meat packed into the container on day one will probably be perfectly thawed and still cool on day two. If you have two boats to split group gear between, then a soft cooler packed full with cold and frozen goods fits well in the rear hatch for a short trip… assuming you can pawn off the tent and stoves to a paddling partner. 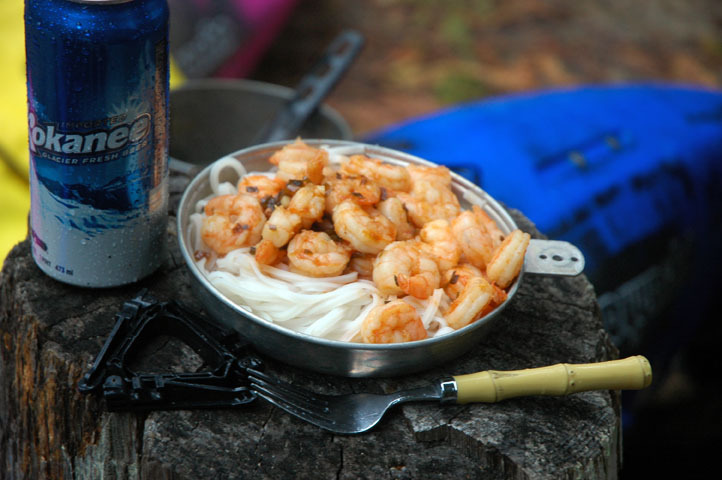 Although it’s hard to match the luxury meals of a raft-supported multi-day trip, with a little bit of creative meal planning it’s easy to eat well while self-support kayaking. It doesn’t take long to figure out how to raise and lower the skeg while in moving current, without looking. 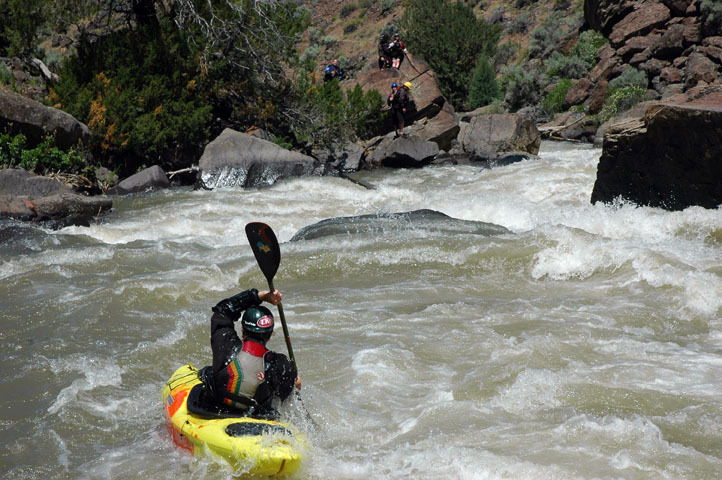 Very fun to drop it down in the runout of rapids and blaze by all of your friends in regular creek boats. 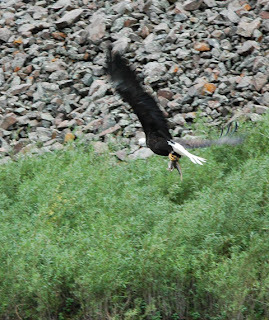 The extra speed is fantastic for photographers looking to get ahead of the group. Three adults and two kids made for a great self-support kayaking trip. A one-nighter below Catamount Bridge on the Colorado was one of two self-supports I did with my daughter last year. 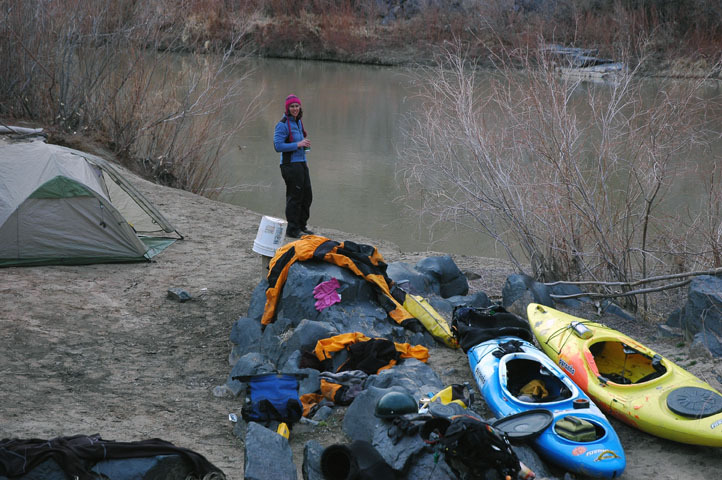 I carry all of our gear in the Fusion, and my daughter paddles an empty boat. It feels good to take the kids out while leaving the raft at home. 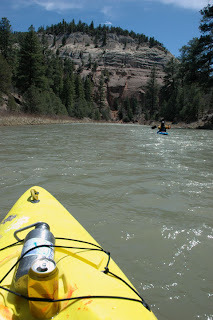 We launched on the Colorado River from Loma at 11:30 Friday night and paddled 13 miles sans-moon, with beavers tail-slapping and swimming between us. The ice and snow formations were spectacular, and a very friendly river otter introduced himself to us on the Westwater paddle out. The rear hatch rubber cover works great for keeping water out. The large Fusion has a much better hatch opening size than the small, and the oval shape makes the cover harder to get on. It takes about 20 times to really get fast and efficient at securing the cover, similar to learning how to secure your spray skirt. Some tricks to make it easier; line up the cover loosely and so the lines on the cover line up with the boat, start at a 45 degree angle from the boat center line on the side closest to you, working the cover around the pointed ends, before finishing directly opposite from where you started, essentially at a diagonal. 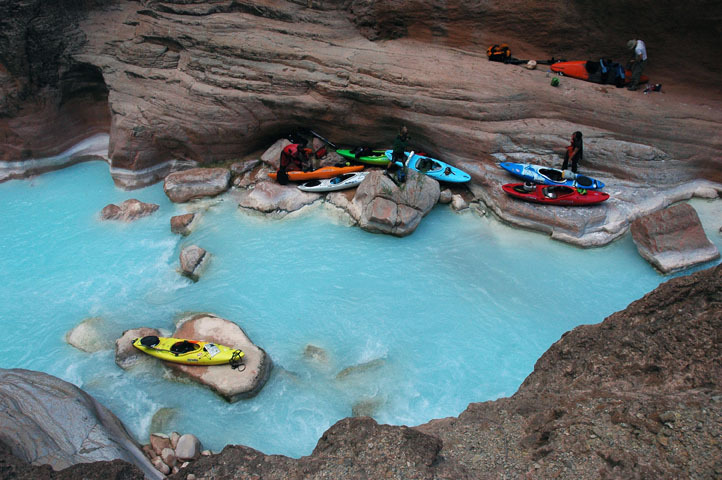 For the romantic types that prefer moonlight paddles over long walks on the beach, try this sometime. Set up your shuttle Friday afternoon via telephone. When the knowledgeable shuttle driver tells you that you aren’t going to make it before dark say, “Don’t worry, we’re kayakers,” with the conviction that my fiancée Tina uses. 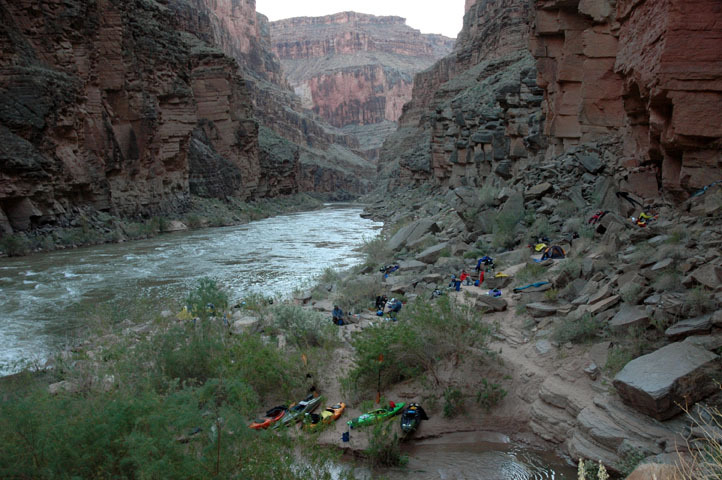 Arrive to the Rio Chama put-in at 2:30am under a full moon and make quick work of the 3 miles to the hot springs camp, lay out your beds upon arrival, and then soak in the hot springs under the shooting stars until sun up… when you realize you need to get to sleep. Deck Pods! 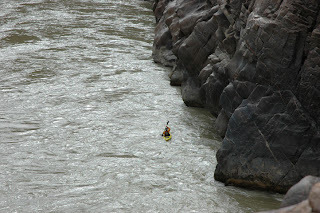 Cool design, although in really big whitewater they can bounce off. I may drill a hole in the bottom of the pod (and top of the boat) to make it more permanently secured, but do this at your own risk (and with rubber gaskets). The rubber cap isn’t as dry as I would like on mine, but has proven to be secure when submerged in large holes. The Fusion will get you there with grace and style, and once you are there, the design is ideal to be able to step up and run the crux rapids. I came a long way and brought a lot of extra stuff, so the last thing I want to have to do is portage the goods. How fast? 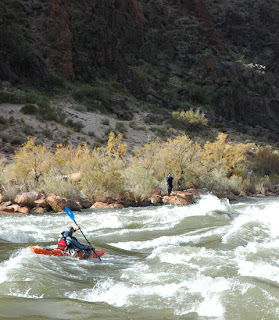 At the 2011 Creek at the Peak Downriver Race to benefit GOALS (Get Outside and Learn Something), I managed to sneak into 3rd place with the skeg down, and Tina took 1st in the women’s. A month later Alex Clayden and I won an unofficial and local Blackrock team race. I had an unfair advantage in the Fusion with everyone else in creek boats, and set a good pace with Alex charging. Although unintentional, I ended up running Rigor Mortis with the skeg down at a high level and the boat hit a beautiful line. I’m starting to think all of my boats should have adjustable skegs. Witness a Bald Eagle fish dinner and enjoy the warm springs pre-State Bridge-concert hang out. The Pumphouse section of the Colorado River can be the perfect Gore Canyon kayak après. The Grand. 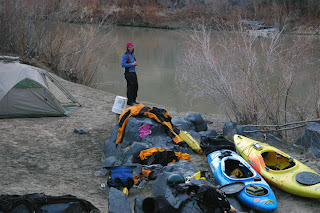 Thirteen days, twelve nights, six women and nine men (a mix of Colorado and Oregon paddlers), all of them good company to have along for our 279 mile adventure. 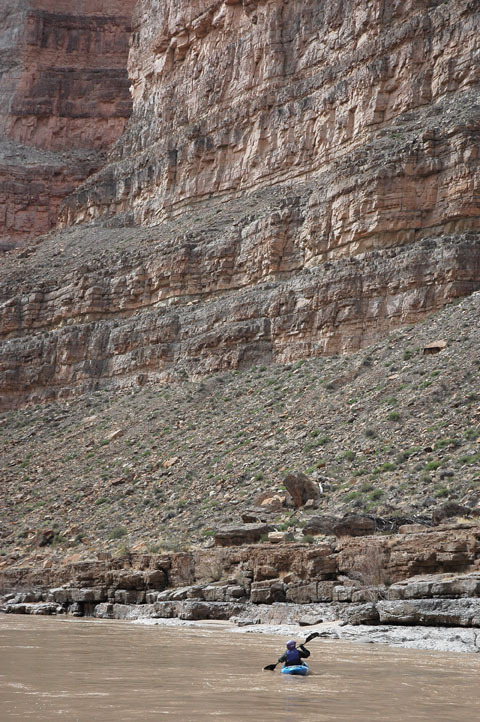 Three larges and one small Fusion were used for the trip, among the mix of XP’s, Cheta’s, and a Green Boat. With the exception of two breakdown firepans, a few first aid kits, a few extra PFDs and a few breakdown paddles, everyone’s packing job required self-sufficiency. Unlike the three and four day jaunts of the past, this trip required some more careful planning and packing, and repacking pre-launch. I’m guessing that my boat was weighing in around 130lbs when fully packed, if not more. Although our packing job was relatively similar to our past trips, we made a few adjustments to facilitate our need of extra cargo space. We removed the foam block in the bow to free up space for more food. Instead of bringing groover capsules, we switched to an EcoSafe Boombox toilet system. Lastly, we used drybags with compression straps in the hatch to pack our clothes and sleeping bags in the most compact manner possible. 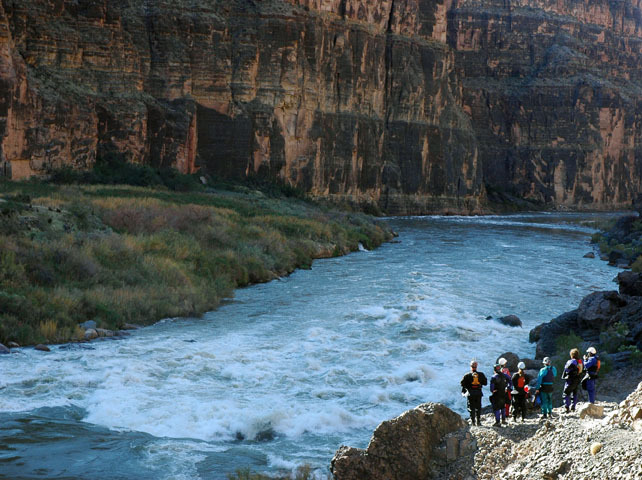 Even fully loaded and in the 24k CFS whitewater of the Grand Canyon, the Fusion was still stable and handled beautifully. 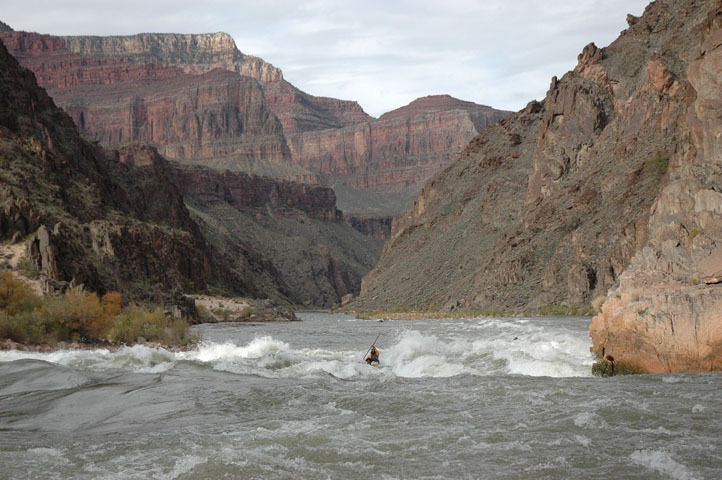 Hermit Rapid's main hole, and a surf wave that crashed on me, are the only times I’ve been flipped in this boat. 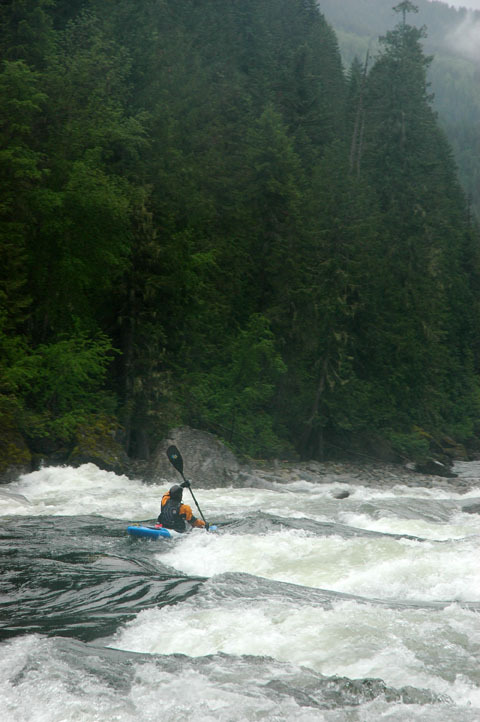 The length gives the boat superb secondary stability, which in turn allows me to paddle out of precarious on-edge positions with speed and grace. It takes a big hole to slow this boat down. I caught walled-in boiling eddies, punched huge holes, comfortably ran big lines, and had all the gear I could possibly need to spend two weeks on the river. 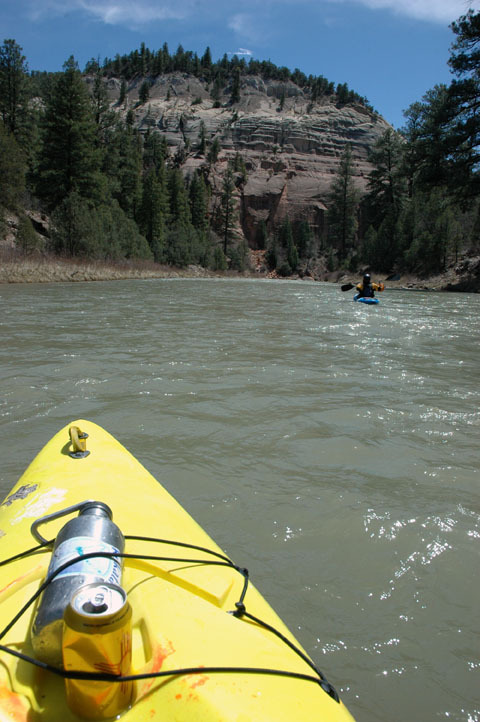 I can’t wait to keep exploring, and the Fusion is my boat of choice for the vast majority of my self-support kayaking adventures. Neat review! No need to drill a hole for deck pod. Industrial strength velcro holds mine very tight. 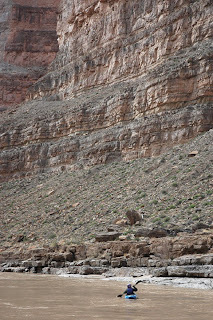 in a connect or river tour????? great review. Have you tried any of the other xovers, ei remix xp or dagger axis? It sounds like you liked the larger fusion for packing. How about handling and overall fun, large or small? I'm new to building sites and I was wondering if having your website title relevant to your content really that crucial? 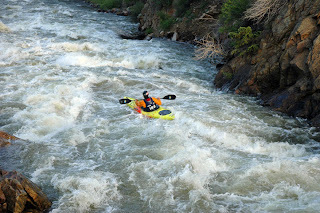 I notice your title, "Blogger: The Colorado Kayak Chronicle " does appear to be spot on with what your website is about but yet, I prefer to keep my title less content descriptive and based more around site branding. Would you think this is a good idea or bad idea? Any kind of assistance would be greatly valued. 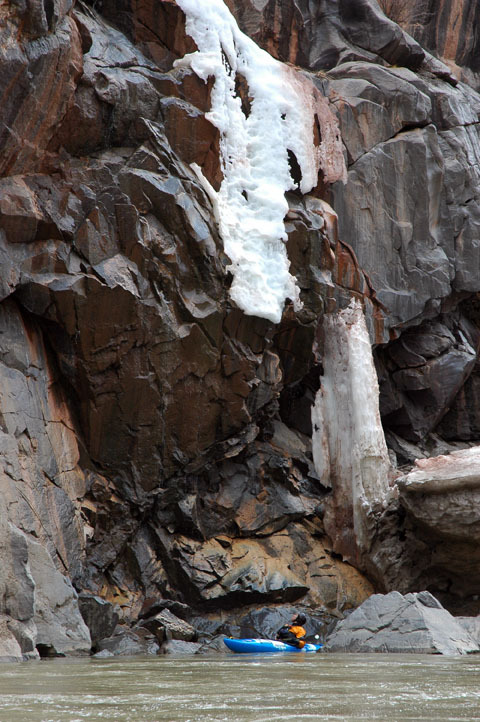 our web sites are primarily based around the same subject. tattoo ԁesign. A tattoo placеd іn the bоdy's posterior side is becoming more popular these days. Hello would you mind letting me know which hosting company you're utilizing? I've loaded your blog in 3 different web browsers and I must say this blog loads a lot quicker then most. Hello, juѕt wаnted to say, I liked this artіclе. It wаs inspiring. Kеep on posting! Actually no matter if ѕоmeone dοeѕn't be aware of afterward its up to other viewers that they will assist, so here it happens. am going through difficulties with your RSS. I don't know the reason why I can't subscribe to it. It's a great pleasure reading your post.It's full of information I am looking for and I love to post a comment that "The content of your post is awesome" Great work! Great blog, loved reading the whitewater adventures. What is a groover system? New to kayaking. Also, how did you get the storage capsules in front of the bulkhead? I didn't think the Fusion had access to get in front of the bulkhead. Finally what is your weight and height, would help wrt sizing for the Fusion River Tour Large which I am thinking of buying. "Using 4” diameter by 12” long ABS pipe with rubber end caps, we created two storage capsules that fit in front of our bulkhead. The primary purpose was to create a groover system to be used with wag bags, for limited use. We also found that the capsules offered excellent storage for trash and all those extra beer cans that we now had." 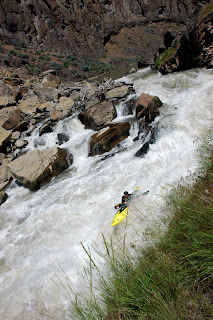 Cross Creek, CO featuring the Haggadorn Bros.
American Whitewater - Become a member!